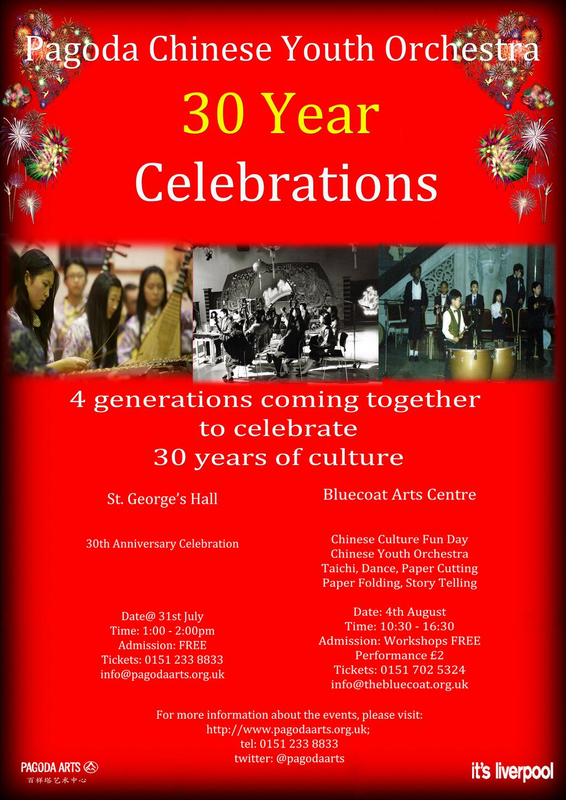 Only weeks after the death of its conductor and founder, five generations of Liverpool’s renowned Pagoda Chinese Youth Orchestra are to celebrate its 30th anniversary by taking part in a special birthday – and tribute – concert in the city’s famous neo-classical St George’s Hall. For three decades young musicians from the award winning orchestra have enchanted audiences across the UK and Europe and dazzled the VIP audience at Shanghai’s Expo when they joined forces with Liverpool’s Royal Liverpool Philharmonic Orchestra and its distinguished conductor Vasily Petrenko for a gala performance. 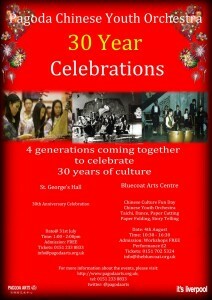 Established in Liverpool in 1983 by one of Mainland China’s most illustrious composers, Mr Li Kui Hsuing – a classically trained multi-­‐instrumentalist – it was the first Chinese youth orchestra of its kind in Europe and remains the largest to this day.